Groceries eat up a large part of your monthly budget. Learn how you can save on food every time you go to the grocery store. Aside from mortgage or rent and car payments, grocery spending is probably one of your biggest monthly expenses. In fact, the average family spends around $1,455 a month on food—and even more than that on restaurants and takeout! And while buying food isn't optional, you can slash your monthly grocery budget by $400 (or more!) and save money every month without too much effort. Of those who used coupons in 2016, nearly 25% saved $50 or more each week, according to research conducted by Valassis. The key is learning how to maximize your use of coupons—especially double coupons—to boost your grocery store savings (and keep more of your take-home pay). 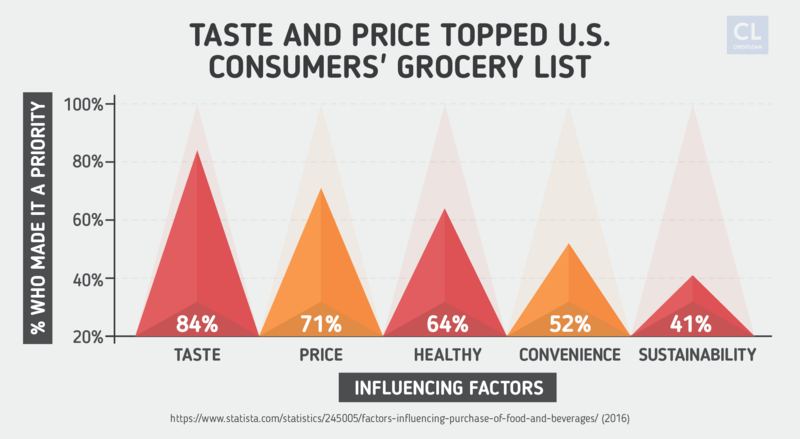 Indeed, coupon use is on the rise because it's a surefire way to save big bucks on grocery spending. 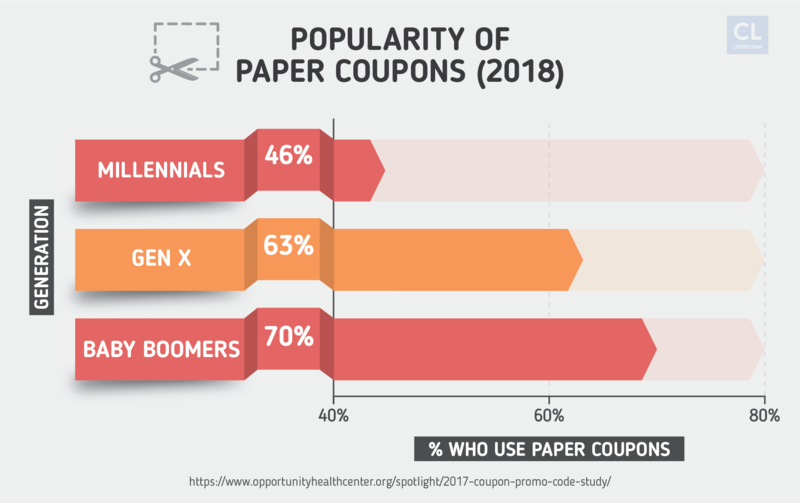 In 2017, consumers reported using 41% more coupons as compared to 2016. Even if you eat organic or gluten-free, or aim for lots of produce, using coupons can still work for you. We'll show you how to slash your food spending without compromising on the quality of the meals you serve to your family. Here's a comprehensive list of 50 ways to slash $50 off your grocery bill each time you shop. Before you head out to the supermarket, you'll want to learn the coupon lingo and make sure you are following the coupon rules. Doing so will save you time—and help you save big bucks in the long run! 1. Double down on how double coupons work. Double coupons don't mean carrying around two of every coupon you want to use. Instead, the store gives you twice the discount of the face value, often up to 99 cents. So a 75 cent coupon can be worth $1.50! Some stores even double $1 coupons. 2. Do some double coupon detective work. Call up corporate headquarters to find out your favorite grocery store's policies on double coupons. You can also download apps like DoubleCheck (free) and QSeer ($1.99), which allow you to scan any coupon and see whether or not it will double. 3. Be purposeful about where you shop. Making the simple switch to shopping at a supermarket that doubles coupons can save you big bucks—even if you don't use a lot of coupons. It's worth noting that different areas of the country get different coupons. A 50 cent coupon off deodorant might say "do not double" in one region, but a 35 cent coupon in another area might double. 4. Combine double coupons with sales. When you use double coupons on sale items, you can often get your favorite food basics for cheap or even free. If your family's favorite salad dressing is on sale for 99 cents, for instance, and you have a 50 cent coupon that doubles, you'll get it for free! The fine print on coupons matters—and understanding the coupon rules will help you not only save money, but also avoid difficult encounters with cashiers at the checkout line. 5. Learn how to distinguish the difference between coupons. Store coupons will usually not double the way that manufacturer coupons do. At the top of the coupon, there is usually a label that says if it is a manufacturer coupon or a store coupon. Those that start with 5 often double, while barcodes beginning with 0 or 9 usually don't. 6. Watch the calendar. Some stores only double coupons on certain days or during time-limited promotions. 7. Target top values. Learn the top value the store will double (often 99 cents or $1), and plan your purchases—and redemptions—accordingly. 8. Find out if a store likes "like" coupons. Many stores will only double up to four "like" coupons—the same amount off for the same product. 9. Read the fine print. Some coupons come with provisions that they may only be used once per household, per day. Wondering where those coupon superstars get all their coupons? Here are several ways, some of which are free. 10. Subscribe to your weekend newspaper. The best (and cheapest) source of coupons is through home delivery of your weekend newspaper. If you subscribe to a few different newspapers, you'll often get different coupons on Saturday or Sunday (each paper tends to offer different versions of the coupon inserts). 11. Ask your friends and family for their coupons. If your family members or friends receive a weekend newspaper and don't use coupons, ask them to save them for you. It's like gifting you free money! 12. Be mindful that there may not be inserts on holiday weekends. View the coupon insert schedule to see how many inserts to expect. 13. Check your doorstep. If you receive a free local paper delivered to your door once a week, it may contain coupon inserts. Don't throw it out without looking through it carefully. 14. Go online and rev up your printer. 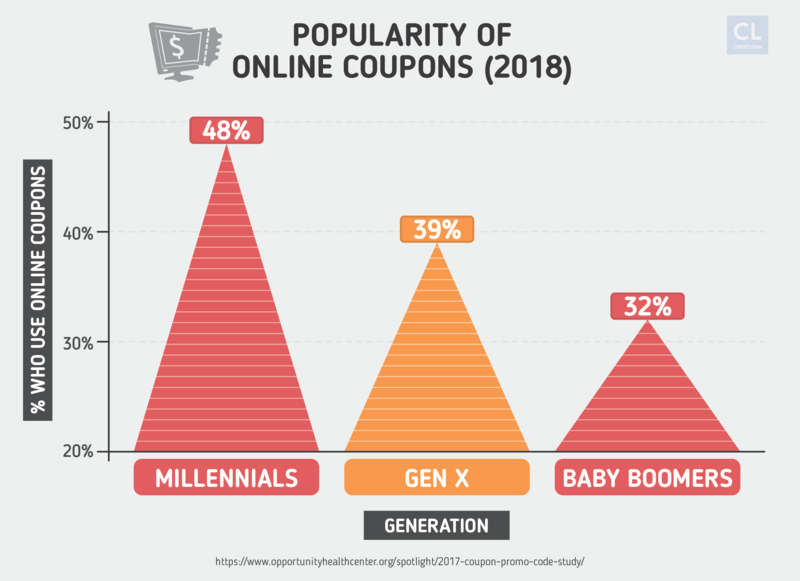 Sites like Coupons.com and Redplum.com offer free printable coupons that are often similar to the coupons and promo codes that come with the newspaper. 15. Visit company websites. Lower the cost of your favorite brand items by visiting company websites and printing coupons straight from there—a smart way to money indeed! Search for a "Coupons and Offers" page on the site, as most companies have one for their products. Don't want to waste hours every Sunday cutting out coupons you don't plan on using? 16. Embrace digital coupons. Most grocery chains and drugstores offer digital coupons that you can "clip" directly to your store loyalty card—no scissors needed. If you don't like the hassle of carrying around paper coupons, this is definitely a good solution. 17. Check for loyalty love. Many stores give you the option to "add" coupons complete with promo codes from their website to your loyalty card. 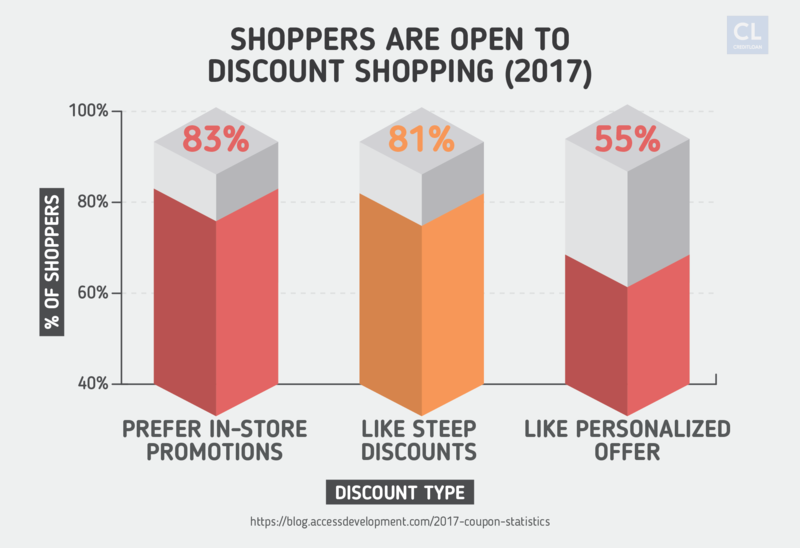 In 2016, 44% of consumers downloaded coupons this way. That's instant savings and you can stop spending on ink and paper. 18. Curate your shopping list online. Websites like LivingRichWithCoupons.com offer weekly coupon matchups for most large supermarkets and other retail stores. You can check off the deals you want and even email yourself a printable shopping list—another way to help you plan your family's meals! Your best bet for saving significant cash on your groceries is to combine coupons with the following smart tips for grocery shopping. 19. Menu-plan using the store circular. Rotisserie chicken is on sale? You can save big bucks by planning your meals around what's on sale, not to mention it helps when you're feeling less-than-inspired about menu ideas. 20. Buy in bulk. As you become a more experienced couponer, you'll begin to see patterns in the store's advertised sales. If you have storage space or an extra freezer, buy sale items in bulk—enough to last until it goes on sale again in three months. 21. Reject brand loyalty. To score the biggest savings, be flexible about the brand of the items you buy. Often, companies will offer high-value coupons for new items they are promoting. If you're willing to try out a new shampoo, for example, you may be able to get it at a fraction of the cost, if not for free. 22. Be willing to shop around. 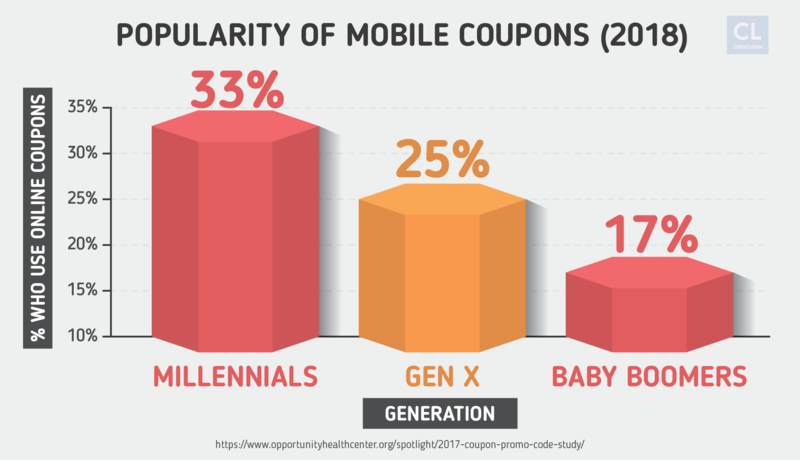 Those who save the most with coupons shop at multiple stores—they go where the sales are. If you're willing to take the time to visit more than one grocery store, it can pay off. Or, you can look at a few circulars and decide each week which supermarket you're best off going to. 23. Get a rain check. Often the best deals on your favorite items go quickly and your store may not have any more in stock. You can extend a great sale's shelf life (literally) by heading to customer service and requesting a rain check to use when the product is back in stock (even if it's no longer on sale). Coupon pros take double coupons to the next level by employing advanced couponing strategies involving stacking coupons, gas rewards, and more. 24. Stock up on Catalina deals. Catalinas are the coupons that you can print when you buy certain products, offering you $5 off your next order. Search online for a list of current Catalina promotions. For instance, when you spend $30 on Huggies products, you'll get a $5 or $10 Catalina coupon that can be used toward your next grocery order (you don't need to purchase more Huggies to redeem it). 25. Use coupons on the store brand. In many cases, the store brand is manufactured with the same ingredients as the more expensive brand name products. Other times, it makes a difference—saving you up to 25%. Try out store brand items when they are on sale or there are store coupons available, and stock up on the ones your family likes. 26. Strategically stack your coupons. Stacking coupons isn't the same thing as doubling. Stacking is when you use a manufacturer's coupon along with a store coupon on the same item. For example, if you're buying an item that costs $3.25 and you have a store coupon for $1 off and a manufacturer's coupon for $2 off, you'll get $3 off—reducing your payment to only a quarter! 27. Get a sturdy coupon wallet. It may sound basic, but if your coupons are organized and stored in a compact holder, you'll be more likely to bring them with you into the store. Being prepared is half the (savings) battle. 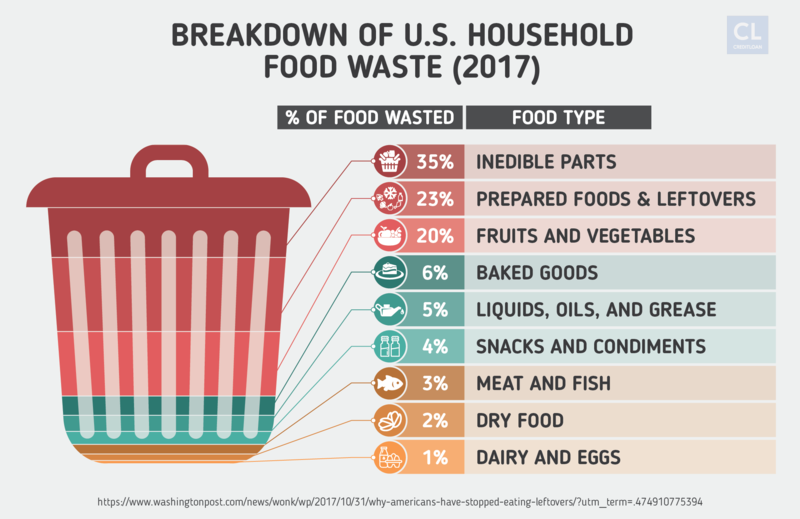 Reduce waste—and your grocery bill—by only buying what you need and at a quantity you can use reasonably. Do an inventory of your fridge and stop buying the things that tend to go rotten or are never eaten. 28. Only buy what you'll use. Hate throwing out rotten produce or expired meat? Learn to buy only what you need, and that will trim your grocery costs while also preventing waste. 29. Take a picture of your fridge. Before you head to the grocery store, take a picture of the inside of your fridge with your phone. That way, you won't end up buying more milk when you still have two unopened cartons. 30. Leave the kids home. While this is not always a luxury for busy parents who need to stock the fridge, it can save you money. Shopping without little grabbing hands and "Please, Mom!" exclamations can definitely add up to savings. Once you've grown accustomed to using coupons, try to embrace these tips and tricks for lowering your grocery bill even more! 31. Pull the "competitor coupon" card. Some stores, including some Walmart stores, will accept competitor coupons for the same item. Don't be shy—not asking can cost ya! 32. Shop above or below eye-level. Groceries stacked on the shelf at eye-level are often more expensive than competitor products that aren't as ideally situated. Don't fall for this common department store tactic for getting you to spend more. Be willing to consider items that you don't see right away, such as store brands that may be just as tasty or as good as the brand-name items. 33. Walk to the back of the store. It's a little-known secret that many grocery stores display their high-profit items like flowers, desserts, and other delectables toward the front of the store. It's a tactic they hope grabs your eyes, your stomach, and your purse strings. 34. 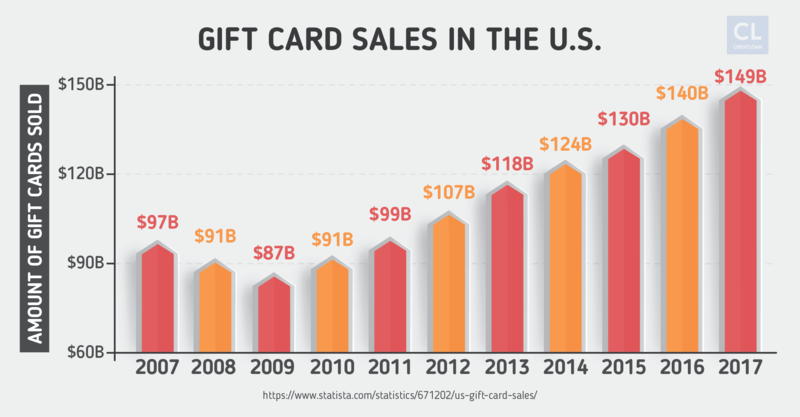 Buy discounted gift cards. Yes, these do exist! Visit sites like GiftCardGranny.com or CardCash.com to purchase gift cards to your preferred supermarket for up to 5% off. There's something to be said for being frugal before, during, and after your grocery shopping excursion. 35. Frequent the clearance section. If your grocery store has a clearance aisle or section, take a peek at what's in it periodically. You just might find day-old baked goods or off-season products marked down by 25%, 50%, even 90% off. 36. Look for manager specials. Those often-orange "Manager's Special" stickers on meat and other items signal they are nearing the expiration date but are still perfectly good to eat. You can stick them in your freezer and enjoy the savings! 37. DIY divvying. Refrain from buying individually packaged snacks—you'll often pay more for less. The few minutes you'll spend on portioning snack-sized goodies yourself will translate into dollars—and often, calories!—saved. 38. Stop being fresh. Think about it—you don't always need fresh fruit and vegetables when frozen—usually less-expensive frozen—will do. Unless a recipe (or your taste buds) specifically calls for fresh, opt for frozen for some cold, hard savings. 39. Check your receipt. Stores make mistakes, or sometimes we pick up the wrong item and end up purchasing an $8.99 pint of organic strawberries instead of the regular one on sale for $1.50. Every little bit counts, so if an error was made, don't let it cost you (literally!). Make a habit of checking your receipt before leaving and visiting customer service for a price adjustment if necessary. Your savings account will thank you! 40. Plan a trip to the discount store. These havens for savings often feature toiletries, detergent, and paper goods at lower prices than grocery stores. Looking out for opportunities to fuel up your car on the cheap or accrue savings thanks to the perfect grocery store credit card are smart tactics for going beyond traditional savings. 41. Take advantage of gas rewards. Grocery stores like Giant, Stop & Shop, and Acme often offer gas rewards for buying certain quantities of select items. For example, if you buy six bottles of Clorox bleach, you'll get 400 gas points—worth up to $8 at participating gas stations. Combining gas points with manufacturer coupons can lead to cheap or free products. 42. Use a rewards credit card. If you spend a lot at grocery stores (even with double coupons! ), an advanced personal finance hack you can learn is to earn 6% cash back with the American Express Blue Cash Preferred Credit Card. The Penfed Platinum Rewards and BankAmericard Cash Rewards Card are two other smart grocery credit cards to consider. These free apps can help turn your grocery receipts into cash. 43. Easily unlock cash rebates. The Ibotta app enables you to unlock cash back rebates on certain products. Just upload the receipt and redeem for a check, a PayPal deposit, or gift cards after earning $20. You can also qualify for bonuses, such as $5 for redeeming six rebates over the course of five days. 44. Never miss a cash back deal again. Checkout 51 is a similar app that lets you scan your receipts to get cash back for purchasing specific products. 45. Load up your loyalty cards and save. The SavingStar app works a little differently than Ibotta and Checkout 51. Instead of uploading receipts, you link your store loyalty cards and are credited the rebate amount when you purchase certain items and activate the rebate. This is especially helpful for shoppers who don't like hanging onto receipts. 46. Enjoy instant cash back. Mobisave is another rebate app, but this one gets you cash back right away—no need to wait until you earn $20! 47. Save up to $600 a year at Walmart. If you shop at Walmart, use the Savings Catcher app to upload up to seven receipts per week. The app automates price-matching and lets you save up to $600 a year. 48. Create custom grocery lists with Grocery iQ. Create personalized grocery lists based on your past purchase history and find matching coupons in Grocery iQ. Grocery iQ lets you enter loyalty card details and save deals directly onto them, saving you time. You can also sync lists with your spouse and input items via voice using the app, making sure you don't forget anything you need. 49. Get social with coupon matchups. TheKrazyCouponLady app offers store-specific matchups that combine sales with coupons. You can also view "brags" that fellow members share highlighting their best finds. You can find local coupon saving groups on Facebook: just type in your city or state and "coupons" and join groups you can learn from—and save! 50. Get local savings in the palm of your hand. ShopRite, Stop & Shop, and other grocery stores all have their own apps you can use to download digital coupons that work at your local stores. You can view current sales and circulars, and even get bonus digital coupons for free items or deals like "$5 off your next order of $30 or more." Are you ready to slash your grocery bills and wow both the cashier and the people standing behind you in line? Pick just one tip from each of the sections above and begin saving big bucks while feeding your family well. Do you use coupons for groceries in your day-to-day?